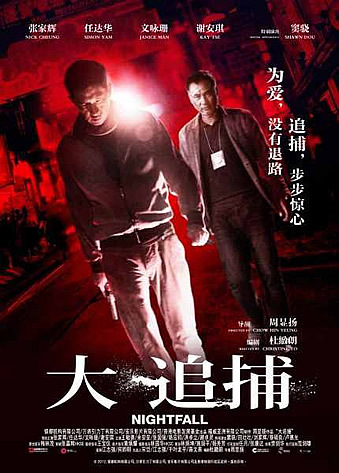 Synopsis: One Day, a medium built stammerer, Jun (Wang Bao Qiang) confesses five murders at police station, but he fails to illustrate the details, after long oral examination the police believes Jun is mentally disorder and his mentioned murder cases do not come from the fact. Soon after, a cold-blooded murder unveils a series of mysterious murders in the district where Detective Han (Lau Ching Wan) stations in. Each of the victims is executed by different but equally brutal way. Han knows that he is dealing with a serial killer. Instinct tells him Jun is the suspense after he goes over all recent statements. His team goes and rummages around in Jun’s apartment, except a pile of old fairy tale books, no criminal evidence is found in the messy apartment. Whilst his other half Oxide has found some measure of success with the offbeat ‘The Detective’, Danny Pang has still been struggling to find that one hit to launch his solo career. But despite having all the elements in place- an intriguing premise, a strong lead actor and most importantly a relatable genre- ‘Fairy Tale Killer’ is unlikely to be that breakout hit for him, turning out instead as a wholly generic serial killer thriller that pretty much wastes the potential within its conceit. And indeed there is much promise to be had in its story of a serial killer who dispatches his victims as if they were in some fairy tale- referencing among others the fate of the evil witch in ‘Hansel and Gretel’ as well as that of the evil stepmother in ‘Cinderella’. Adding to that is how the twist to these classic fairy tales is visually realised in the film through a series of dark foreboding sketches, the artist behind them an autistic girl (Elanne Kwong in an uncharacteristic role) closely related to said killer. 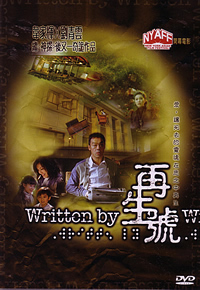 But it seems that after figuring out the modus operandi for the killings as well as the clues for their lead protagonist Han (Lau Ching Wan) to solve the murders, the quartet of writers (including Danny Pang, Szeto Kam-Yuen, Jessica Chu and Wu Meng Zhang) can’t quite figure out how to spin a coherent tale. 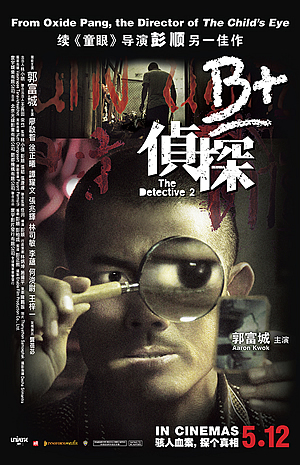 Certainly, they aim to turn the genre on its head by revealing the murderer right at the start- a psychotic named Jun (Wang Baoqiang) who recently escaped from a mental hospital- and having him turn himself in before a perplexed group of detectives even before committing any of the crimes. Thinking that he is simply spouting nonsense, the team release him from their custody- only to realise all too late the truth behind his words when the first victim (Lam Suet) turns up face down dead in a ditch. Another three will follow, all the victims linked somewhat conveniently to a troubled past involving Jun. Rather than concentrate on the procedural, Pang and his co-writers have their characters go off in parallel directions that fail to converge satisfyingly. So Han is saddled with an autistic son whom he can’t find the heart to love, a long-suffering wife (Joey Meng), as well as distrustful colleagues whom he tells on to secure a much coveted promotion- oh and there’s also that bit about how his son just happens to be a savant who manages to piece together the aforementioned drawings so he can figure out how the next victim is going to die. Meanwhile, Jun is wracked with confusion as he tries to justify his actions by thinking of himself as the ‘good guy’ ridding the world of ‘evil wolves’. The sheer number of plotlines would only have worked in the hands of an assured director, but Pang is certainly not that person. He switches between scenes too abruptly, never quite developing any so that they resonate with his audience. Instead, what we are left with are largely undercooked subplots, with the main confrontation between Han and Jun given too little emphasis. That becomes even more apparent in the climax, when Pang tries to up the ante by pitting both his leading men in a ‘Saw’ ripoff. Yes, we’re talking about that ultraviolent ultra-sadistic Hollywood film which we can only surmise Pang must be a fan of. The finale set in some abandoned building has Jun setting up a number of tasks for Han to complete in order to save those close to him- and the most blatant ripoff of ‘Saw’ is when Han is made to choose between preserving his own life or rescuing his family within the span of three minutes. Of course coming to think about it, were it not for the film’s Chinese investors who would most certainly have wanted a Mainland release, the deaths within would probably be filmed in the same gory manner as that in ‘Saw’. 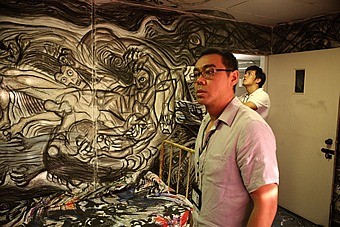 If the film remains watchable despite its flaws, it is because Pang has a reliable leading man in Lau Ching Wan. 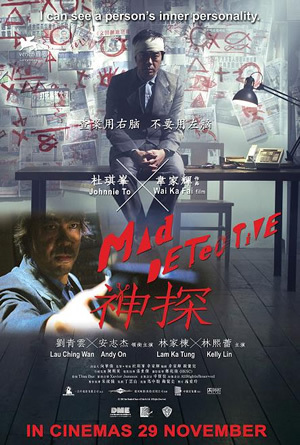 Unlike say that in Johnnie To’s ‘Mad Detective’, his character here is really nothing of a stretch, but he brings his usual brand of gravitas to the role. In contrast, Wang’s histrionic performance does him little favours, turning instead his villainous character to no more than caricature. Kwong and Meng are given far too little to make an impression, a pity especially for Kwong who tried to break out of her usual cutie-pie roles with something darker and more intense. 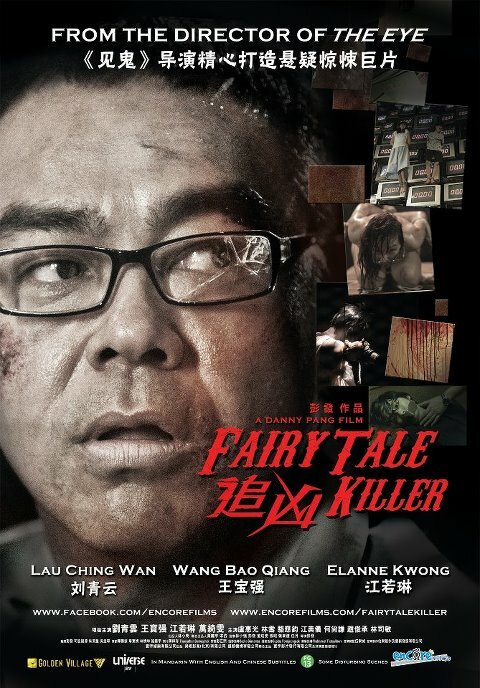 Pang’s failure to translate ‘Fairy Tale Killer’ into something more substantial is probably even more surprising given the common narrative devices that both the horror genre and the thriller share- many of which like the boo-scare and the sudden loud music are employed to varying degrees of success. Also worthy of mention is the appalling soundtrack used in the movie, which not only goes into overdrive each time Pang tries to build suspense, but is cut too jarringly to aid in the scene transitions. From the missteps Pang makes in this movie, it’s no wonder then that some have taken to labelling both Oxide and Danny Pang as one-hit wonders trying to replicate their achievement of ‘The Eye’. And certainly, by bungling a movie that boasts an interesting conceit, one of the best leading men in the industry and a genre familiar enough with his biggest hit to date, that promise they once showed has become more and more elusive…like a fairy tale.